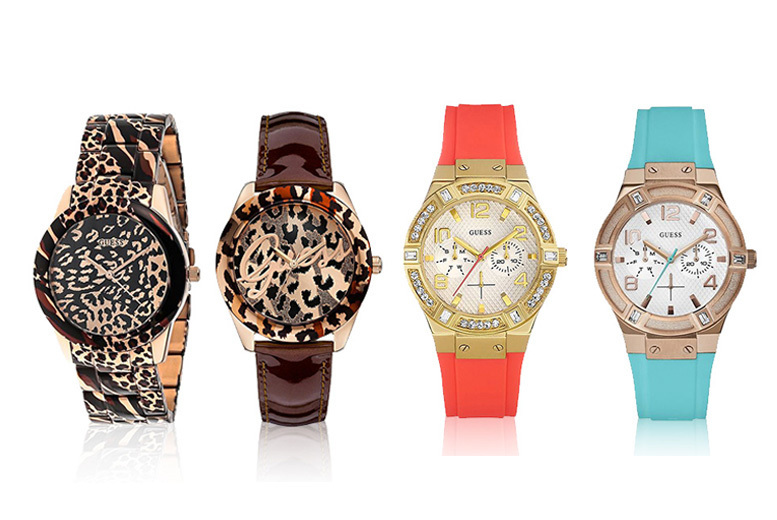 Get a ladies’ Guess watch. Choose from four stylish designs (see full details). Each watch has a branded dial with three hands. With a leather or plastic strap, and a steel case. The perfect timepiece for a loved one!